It was a friendship between two white British expatriates based in the Caribbean – the writer, Ian Fleming, and the Chairman of Booker McConnell, Jock Campbell – which first led the company into the literary business. Fleming had wanted to reduce the taxes he was paying on the James Bond books and did so by selling the copyrights to Booker McConnell in 1964, creating what would become its profitable Author’s Division. Shortly after, when two enterprising publishers sought sponsorship of a prize for English-language novels written in the Commonwealth, it was to this division that they turned for funds. Campbell’s interest in supporting the arts can be seen as part of his broader commitment to what we would now call ‘socially responsible business’. Campbell had been a powerful reforming force within Booker McConnell, driven by his guilt at seeing first-hand how his own family had made their fortune in British Guiana. As told to the historian Clem Seecharan, Campbell recalled: “On the day I got there I was conscious that this had all been built on, first of all slavery, and then cheap labour”. He was right. Records collated at the UCL Legacies of British Slave-Ownership database show that after the abolition of slavery in 1833 and decision by the British government to compensate slave-owners for their loss of property, nine members of the Campbell family successfully claimed for 2,261 slaves. They were awarded £106,556 by the British state, around £13m in today’s money. The Campbell family firm merged with Booker in 1939. The latter had grown significantly during the nineteenth century, haphazardly acquiring indebted plantations that were struggling to compete against subsidised European sugar beet imported from the continent. 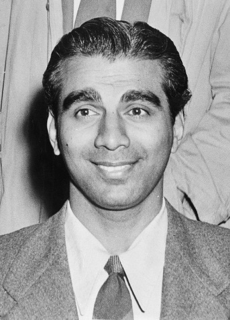 Quickly ascending the corporate hierarchy, one of Jock Campbell’s most notable achievements was to negotiate the 1951 Commonwealth Sugar Agreement with the British Ministry of Food. This guaranteed fixed imports of sugar by Britain at prices offering ‘reasonable remuneration to efficient producers’ – a concept cleverly appropriated from its post-war policy toward domestic farmers as set out in the 1947 Agricultural Act. Benefitting from more stable revenue flows into Booker McConnell, Campbell oversaw paternalist initiatives to improve the housing, health and social welfare of workers, and as part of his broader support for decolonisation, advanced a ‘Guianisation’ of the industry through training and promotion. For the agitators of independence, this was insufficient. Chief among these was Cheddi Jagan, a descendant of the hundreds of thousands of ‘British subjects’ in India who had been transported to Guiana as indentured labour following the eventual manumission of African slaves. This was a mass migration, orchestrated by the British state and sponsored by planters like the Bookers and Campbells, which tied workers to specific plantations until they earned their legal freedom after a given number of years. Jagan’s way of seeing the world was indelibly coloured by the violence he witnessed on these plantations and other places controlled by colonial capital. Neatly encapsulating this worldview, the map on the very first page of his autobiography, The West on Trial, depicted Guyana not by electoral constituencies or sites of national significance, but simply by commodities: sugar plantations along the coast, bauxite mines along the rivers, timber concessions in the forested interior. Jagan’s sense of injustice found expression in revolutionary Marxism, which he used to articulate his “fight against sugar imperialism”. Counter-posed against Campbell’s social reformism, his position was uncompromising: nothing less than full nationalisation of the sugar mills, cane land, transport networks and irrigation systems would suffice. Through the autonomous labour movement, and in particular the militant sugar workers who would form the Guiana Agricultural Workers’ Union (GAWU), Jagan oversaw a number of strikes to further the cause of trade union recognition, taking tactical advantage of the need for sugar cane to be cut and milled at precisely the right moment in the harvest season to cause maximum disruption. And to appeal to disenfranchised people across the colony, the political wing of this movement, the People’s Progressive Party, extended its ideological ambition beyond just sugar, declaring its intent to “build a just socialist society in which the industries of the country shall be socially and democratically owned”. In 1968, the same year as the Booker Prize was launched, Guyana finally had its first general election as an independent state. The struggle for independence had been intensified by the military and political interventions of the UK and US. Both had perceived a threat in Jagan’s ideology: another Cuban Revolution and state seizure of foreign-owned property could not countenanced. More than just stalling decolonisation, Anglo-American machinations deliberately splintered the fragile multi-ethnic coalition of the People’s Progressive Party, pitting its Indo-Guyanese and Afro-Guyanese constituents against one another. Consequently many industrial relations disputes escalated into racialised conflicts as ‘scab labour’ of African descent was recruited on behalf of Booker and used to undermine strikes by predominantly Indian sugar workers. One infamous clash occurred in 1964 when a strike-breaker drove a tractor through protestors squatting outside a sugar mill, killing a woman named Kowsilla. A defining moment for the sugar workers, a bust of Kowsilla still sits in the GAWU office today, pride of place alongside pictures of Marx and Lenin. The GAWU office in the capital Georgetown. Source: author. With covert financial support from the US, it was the People’s National Congress, the renamed faction of the People’s Progressive Party led by the Afro-Guyanese leader Forbes Burnham, which presided over independence, rigging and winning the ensuing election. Despite the political animosity, Jagan was determined to realise his vision and so subsequently offered “critical support” to his former party ally in order that the Burnham government might press ahead with nationalisation of the sugar industry, foreclosing the formation of a broader opposition to the ruling regime with multi-ethnic parties like the Working Peoples’ Alliance led by radical black intellectual Walter Rodney. With Jagan’s backing nationalisation of the sugar industry was completed in 1976, albeit by compensating Booker rather than expropriating them. At a stroke a company accounting for almost one third of the country’s GDP was put under state ownership, renamed and reclaimed as GuySuCo – the Guyana Sugar Corporation. Any hopes that this would induce cross-party socialist unity in the country soon disappeared. 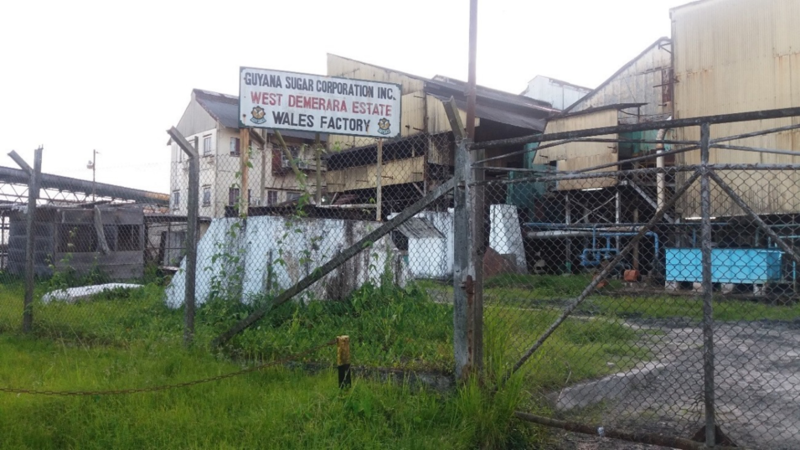 Disagreement over profit-sharing led to an industry-wide strike by GAWU members lasting an incredible 135 days, supported from afar by dock-workers in the UK who refused to unload what Guyanese sugar was exported. This compounded the mismanagement of Burnham’s one-party state, which had become increasingly self-serving and detached from its initial ethnic constituency, manning GuySuCo with politically favoured appointments who awarded contracts to their own business interests. As the economy began to collapse, straining under the debt incurred by nationalisation of the sugar and bauxite industries, further state repression and mass emigration followed. 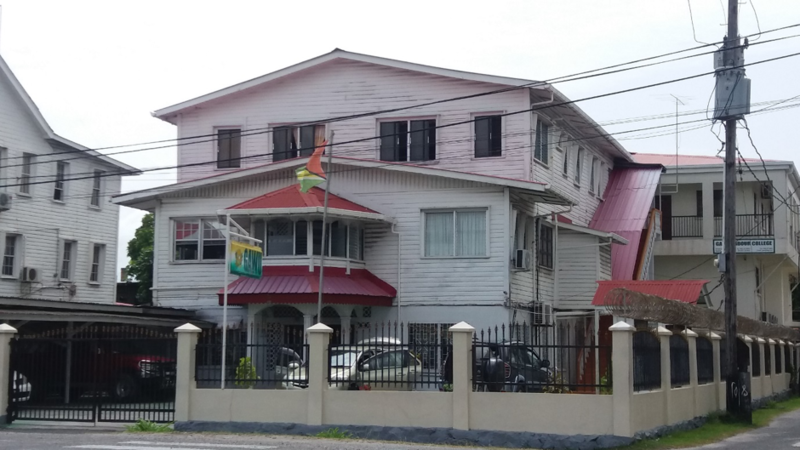 Driven by this exodus, Guyana still has one of the highest emigrant populations in the world, with over one in three citizens living outside the country – a people “twice diasporised” to borrow Stuart Hall’s term. The colonial ties of ownership had been severed in Guyana but those of trade lived on. Following the UK’s accession to the European Economic Community in 1973, the Commonwealth Sugar Agreement evolved into the Sugar Protocol. Its supporters included Jock Campbell, who was by now a peer in the House of Lords, as well as Tate & Lyle, soon to become the UK’s sole refiner of cane sugar. As with its predecessor, the Sugar Protocol had the deliberate effect of locking suppliers and buyers together through a formal trade agreement and insulating both from the vicissitudes of the world market. The difference was that this time it had to be shoehorned into Europe’s Common Agricultural Policy. The resulting arrangement used tariffs to restrict imports and guarantee high stable prices to European beet farmers and some former sugar colonies, including Guyana, which were granted preferential market access. This came under repeated attack from sugar exporters excluded from the Sugar Protocol and in favour of free trade. This external pressure was mirrored internally as the European Commission sought consistency with the multilateral trade rules agreed on within the World Trade Organisation (WTO) and were prepared to sacrifice elements of the Common Agricultural Policy to do it. Triggered by a dispute brought to the WTO by Australia, Brazil and Thailand, the EU began a decade-long overhaul of its tightly managed sugar regime, loosening controls over supply and lowering domestic prices to world market levels. The Sugar Protocol was unilaterally renounced and its signatories effectively paid off with development aid. In Guyana, which exported the vast majority of its sugar to the EU, the price cut was a painful wound to suffer, in both commercial and moral terms. Compared to other sugar exporters, GuySuCo has been relatively high cost. Attempts had been made after the Burnham era to make it commercially viable. Booker was brought back to manage the company under contract, part of a broader structural adjustment programme orchestrated by the International Monetary Fund to resuscitate Guyana’s ailing economy. Industrial relations improved too after Cheddi Jagan had been brought to power in 1992, thanks ironically to belated US support for free and fair elections in the country. Jagan’s People’s Progressive Party and GAWU were tied together by a shared destiny and inter-personal networks, making collective bargaining between the state-owned company and the dominant trade union less conflictual. Yet this alliance made decisions around restructuring difficult to take, given that any loss of jobs or wages would hurt the party’s electoral base. The industry had turned from cash cow to sacred cow. The historic animosity to Booker also threw up challenges. As well as providing management functions, Booker had been approached in 2000 to oversee construction of a brand new sugar mill and plantation in one of the country’s largest ever capital investments. After this ran into operational difficulties, the government tore up the contract. Booker sued and was vindicated by the courts, awarded £664,000 in fees owed. The Indo-Guyanese alliance governing the sugar industry came to an end in 2015 when the People’s Progressive Party was defeated in the general election by a coalition of parties including a successor to Burnham’s People’s National Congress and removed from office after 23 years in power. Regime change happened at a critical juncture. The EU price cut and subsequent decline in export revenues had made industrial restructuring all but inevitable. Seeing this coming, a National Commission had been established to set out a roadmap, which involved privatising the industry, reducing manual labour costs through mechanisation, and developing spin-off businesses in biofuel and aquaculture to provide alternate jobs. As the country’s single biggest employer it was also agreed that GuySuCo had to avoid swingeing redundancies, though at the same time must not take on any more risky expansions. The new government was accused of reneging on this plan. Mills and plantations were closed down, with seven thousand workers – around the half the company’s payroll – losing their jobs, the majority permanently and with delays in their severance pay. Meanwhile the state agency given oversight of privatisation immediately took on more debt, borrowing £110m to fund capital expenditure and make GuySuCo assets more attractive to buyers. The ripple effects of these decisions have been seismic. Small-scale farmers who grew cane for the mills lost their buyer, local shops and markets saw custom disappear, neighbourhood councils and the national insurance scheme suffered shortfalls in tax contributions. There are future impacts to brace for too, chiefly a heightened flood risk to residents in the low-lying coastal cities of New Amsterdam and Georgetown should GuySuCo no longer provide its water management functions of dredging canals and pumping rainwater out over the seawall. Criticism of the government by opposition politicians and trade union leaders has been scathing, interpreting their decisions as incompetent and callous; the latter position intentionally hinting at the inter-ethnic conflicts that have punctuated the country’s past. Indeed, it was this supposed mishandling of sugar restructuring that one MP cited in his reasons for defecting in no confidence vote in December 2018, effectively bringing down the government by triggering the process for an early general election. 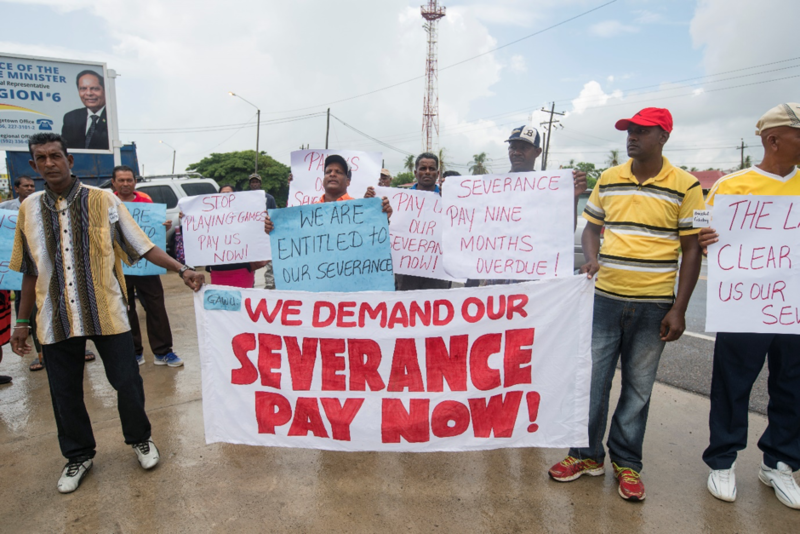 A protest by redundant sugar workers at Port Mourant, the birthplace of Cheddi Jagan. Source: Deonarine Chand on behalf of author. Looking back, three centuries of imperialism created a deep-seated dependency on sugar that could not be overcome through political decolonisation and economic nationalisation. Reliance on an export commodity whose market value would continue to fall relative to other traded goods – the buffer provided by preferential trade arrangements notwithstanding – meant that Guyana would always need to diversify its economy. But such a transformation was rendered implausible by the systematic repatriation of profits during the period of foreign ownership and the country’s deeply entrenched role as raw sugar supplier, which limited the possibilities for building inter-industry linkages to serve as alternative sources of growth and employment. Articulated within the tradition of dependency theory, which had its own rich heritage in the Caribbean, the Guyanese situation can be seen as one of underdevelopment: an export industry in the periphery is abandoned by the metropolitan power that first created it, with the poverty left behind mistakenly interpreted as an endemic feature of the region and its supposed failure to integrate into international markets. Looking forward, the focus in Guyana is now on another primary commodity, one poised to revolutionise the country and begin a new chapter in its history. In 2015 ExxonMobil made its first significant oil discovery in the Guyana basin. It has now located offshore over three billion barrels of recoverable oil; a reserve equivalent to Iraq on a per capita basis. Commercial drilling is expected to begin in 2020 and will likely triple the country’s GDP. Though questions have been asked of the favourable royalty rates granted to Exxon, there is no doubt that state finances will receive a sizeable fillip, raising the stakes at the next general election to an unprecedented level. Indeed, the sheer anticipation of a commodity boom is already having an effect: large swathes of former cane land have been made available for gated communities and entertainment complexes to serve expatriate workers, while training schemes and corporate responsibility initiatives have sought to convince Guyanese society of the gilded era that black gold will bring. Seen in respect to the rise and fall of cane cultivation, though, the developmental strategy of oil extraction loses much of its lustre. Though it heralds a definitive break from ‘sugar imperialism’ it also re-inscribes the country into a similar set of power relations, this time with American capital. The financial asymmetry alone is stark: Exxon’s quarterly profits are bigger than Guyana’s annual GDP. What will this mean for state sovereignty, electoral democracy, economic diversification and ecological stability? The answers suggested by Booker’s Guiana are not encouraging. Consider the parallels in the imminent environmental contradiction, whereby investments in coastal infrastructure and property funded by oil wealth will at the same time be imperilled by the sea level rises and extreme weather events caused by fossil fuel burning – a heightened vulnerability that will long outlast Exxon’s presence. Despite the successive ruptures between the British ‘motherland’ and its sugar colony, the legacies of Booker’s Guiana remain relevant to the UK too. The labour of enslaved, indentured and proletarianised workers on the sugar plantations enabled an accumulation of capital that has been inherited and transformed by subsequent generations, reproducing inequalities of wealth that sustain disparities between the two countries today. Erasing this racialised exploitation is to whitewash British economic development; a move laid bare by studies on slavery and its abolition, showing, for instance, how compensation for slave-owners was reinvested into the railways and credit lines of the industrial revolution. To best remember the colonial past of Booker is to bring such processes into the present. This can be seen at Tate & Lyle, for instance, which used its profits from decades of sugar refining to grow into a multinational food ingredients company, selling off its ‘non-core’ sugar division in 2010. It can be seen at Tesco too, which in 2017 bought up Booker’s wholesale division for near £4 billion to help it retail to restaurants and corner shops as it does to high street customers. It is there in the food and drink industry, the UK’s largest manufacturing sector, which has long benefitted from a steady supply of affordable sugar shipped from former British colonies. And finally, it is buried in the cultural capital of the UK, those testaments to artistic achievement that began life with money made through empire – from the Tate Modern gallery to the Man Booker Prize. Source: Business Insider screenshot by author.